Phillips Components, Inc. is a leader in the VME, VPX, and cPCI custom and standard front panel industry, manufacturing PMC and FMC Bezels, Compact PCI Front Panels, fully customized to your specifications. We are your one stop shop, from design to assembly. 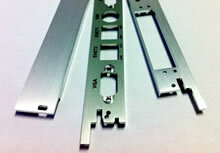 Phillips Components provides quality Sheet Metal Fabrication. Designed to your specs, including Milling, Turning, and Assembly. 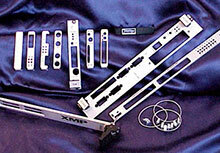 Phillips Components is a specialist in metal finishing services. Plating, anodizing, painting and much more. 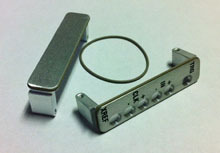 Phillips Components has VPX filler and blank panels available. Designed to your specs, including graining, plating, silk screening and cutouts. Filler and blank bezels available. Fully customizable to your specifications. Including cutouts, graining, plating, and silk screening. Standard Filler and Blank Panels or designed to your specifications. Cutouts, graining, plating, and silk screening are also available. We are your one stop shop, from design to assembly. VPX Filler and blank panels available. Designed to your specs, including graining, plating, silk screening and cutouts. Filler and blank panels available as well as fully customizable to your specifications (silk screening, graining, cutouts and plating. Filler and blank bezels available. Fully custom specs, including cutouts, graining, plating, and silk screening. Standard Filler and Blank Panels or we’ll design to your spec. Cutouts, graining, plating, silk screening are also available. We provide the highest quality materials in the fastest possible turnaround with the most competitive prices in the industry.We are your one stop shop, from design to assembly. We pride ourselves on our knowledgeable staff always ready to serve you by answering all your questions. Contact Phillips to receive personalized service and get quotes quickly. Customer satisfaction has always been our highest priority.We provide the highest quality materials in the fastest possible turnaround with the most competitive prices in the industry.